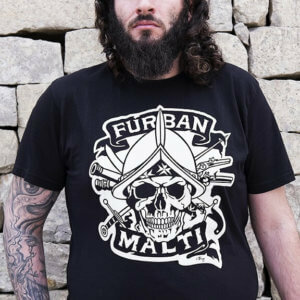 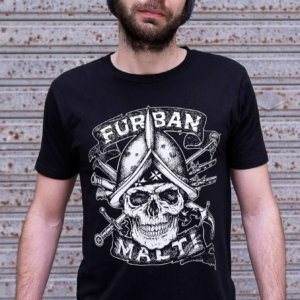 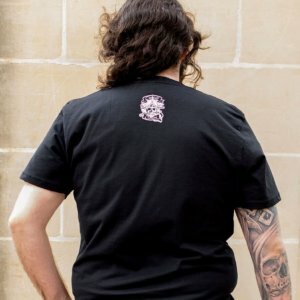 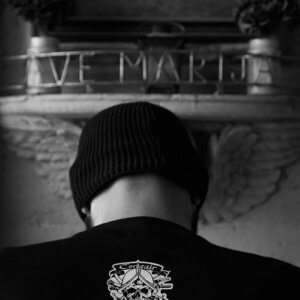 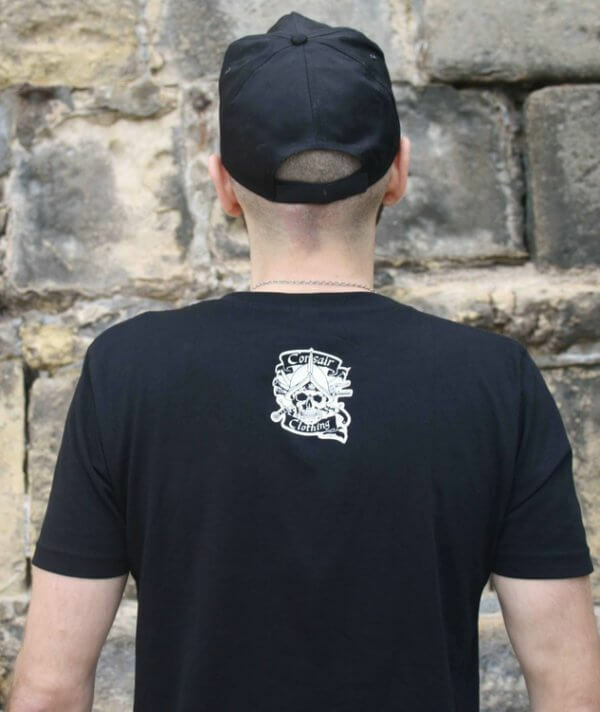 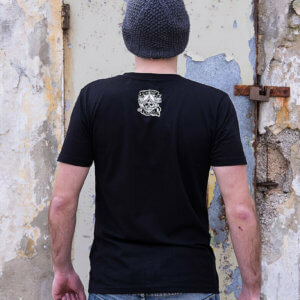 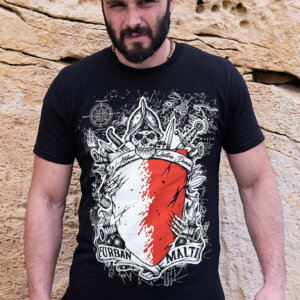 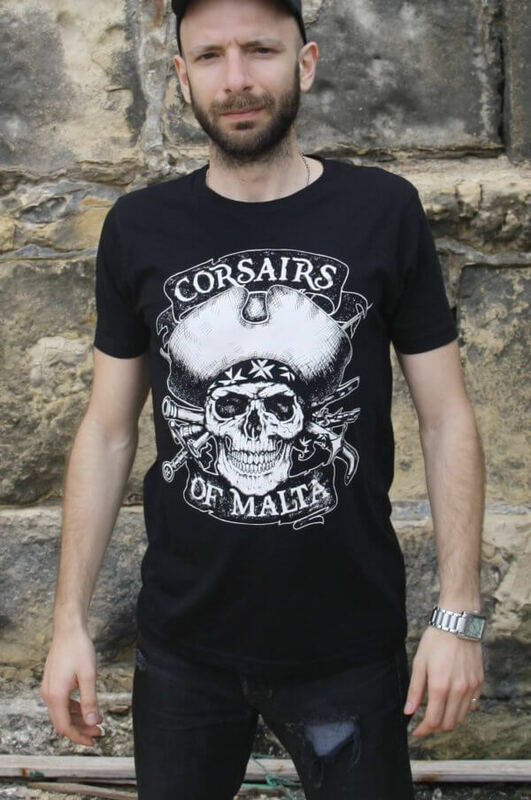 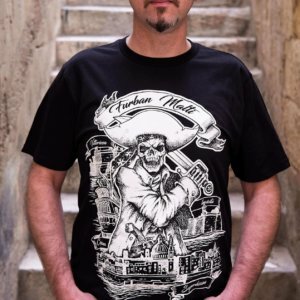 Maltese Black skull t-shirt back from the dead with this darker yet traditional version. 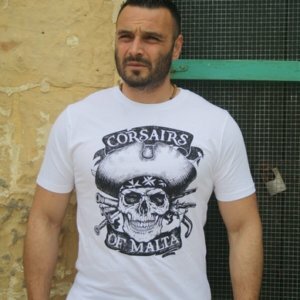 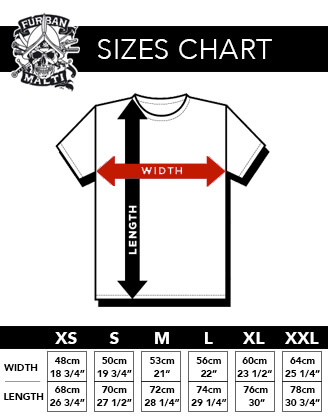 Once again, accompanying Black skull t-shirt is the tools of the trade with which the Maltese Corsair bloodied his hands to earn his daily bread. 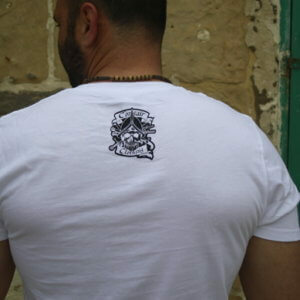 We also have the poster addition to this design.